If you have built up a couple of high credit card balances and want an option to get zero interest while you pay down the balance, a balance transfer offer is just what you need. 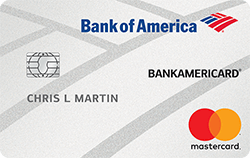 BankAmericard® credit card with 0% interest for 15-billing cycle on purchases and all balance transfers completed within 60 days of opening your new account. You can immediately transfer those balances and start saving on interest right away! Plus, the card charges no annual fee and no penalty APR if you accidently forget a payment. If you are trying to get out of credit card debt or just get it under control, BankAmericard® credit card is perfect for you. Balance transfers are subject to a fee of 3% or $10 (whichever is greater). Balance transfers completed in more than 60 days are subject to the regular purchase APR, currently a 15.24% - 25.24% Variable APR on purchases and balance transfers based on your credit score and current market interest rates. Foreign transactions charge a 3% fee. Cash advances require a fee and come with a higher interest rate which will vary depending on the type of transaction - see terms for details. If you are looking for a great balance transfer offer from a large, reputable bank, look no further. BankAmericard® credit card has an excellent balance transfer offer plus many additional benefits. Benefits include a FICO® credit score for free, fraud protection, and text banking. With a 15-billing cycle break from interest charges, you can use this card to get your balances paid off for good. 0% Introductory APR for 15 billing cycles for purchases, and for any balance transfers made in the first 60 days, then, 15.24% - 25.24% Variable APR. 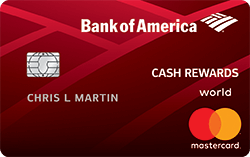 The cash back you can grab for yourself with the Bank of America® Cash Rewards Credit Card is substantial, making it all the more surprising that it simultaneously features a 12-billing cycle, 0% introductory APR offer and no annual fee. This intro APR promotion applies to purchases and on any balance transfers made within 60 days of your account’s opening. Following this intro period, you’ll be given a 16.24% to 26.24% variable APR -- a solid range for a card with so much rewards potential. Those rewards will come to you at the following rates: 3% cash back in your choice category, 2% cash back at grocery stores and wholesale clubs and unlimited 1% cash back everywhere else. Your rewards earnings between the 3% and 2% categories will be limited to $2,500 in combined grocery/wholesale club/choice category purchases per quarter. Additionally spending $500 during your first three months as a cardholder will earn you an $150 sign-up bonus and you can get 10% more when you redeem to a Bank of America® checking or savings account. If you are looking to consolidate your credit cards with a balance transfer and get rewards, most of your options are very expensive. However, the Citi® Double Cash Card is a great option and offers 2% cash back. Get 1% cash back on all purchases and 1% cash back when you pay your bill. That is effectively 2% cash back on all purchases. No categories or restrictions to worry about. Just get your 2% cash back across the board. Get 0% APR for 18 months after completing balance transfers within four months of opening your account. All this with no annual fee. This card has an APR of 15.74% - 25.74% Variable depending on your credit history, which can become quite expensive. Also keep in mind that while this card is at the top of our list for cash back balance transfer cards, some travel rewards cards offer more compelling rewards. Balance transfers have a $5 or 3% fee (whichever is greater). Cash advances have a $10 or 5% fee (whichever is greater). Foreign transactions come with a 3% fee. If you are looking to transfer your balances to one card with simple, reliable cash back, this is the card for you. 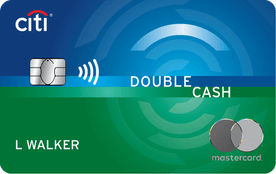 Citi® Double Cash Card is one of the best cash back cards on the market. When considering only cards for balance transfers, it rises to the top of the list. Just beware the $5 or 3% balance transfer fee when transferring balances. 0% APR for 18 months on balance transfers that are made in the first 4 months. Simply put, the Chase Slate® credit card is one of the top balance transfer cards available today. Not only will you receive a 0% introductory APR for 15 months on purchases and balance transfers, you also won’t have to pay a balance transfer fee during the first 60 days of your account’s life. There’s no annual fee for cardholders, as well as almost no penalties. In fact, you won’t have to worry about a penalty APR or a fee for going over your credit limit. Keep a close eye on your FICO® credit score as many times as you want with unlimited free access to your personalized Credit Dashboard – updated monthly. While the 0% introductory balance transfer APR that the Chase Slate® credit card offers lasts 15 months from account opening, the opportunity to take advantage of the $0 balance transfer fee is just within the first 60 days. After that first 60 days, a balance transfer fee of $5 or 5%, whichever is greater – will apply. This card doesn’t offer the opportunity to earn any rewards. The Chase Slate® credit card is one of the best balance transfer options out there. You won’t pay a balance transfer fee on balances you transfer within 60 days of opening your account and you’ll receive 0% intro APR for 15 months. Military service members have unique financial needs. If you are in the military and are looking for a new balance transfer credit card, this is the best card for you. Enjoy a 9.9% APR on balance transfers until they are completely paid off, for those made in the first 90 days. While this does not offer the same 0% APR as some other cards, this card gives you an indefinite window to pay off your debt at a competitive, low interest rate. This card has no balance transfer fees or annual fees. Also enjoy 1 per dollar spent for gift cards, travel and other rewards. Most balance transfer cards on our favorites list offer up to 21 months at 0% APR. 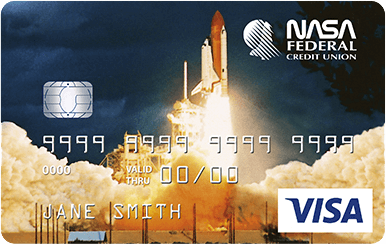 This card charges 9.9% on balance transfers completed within the first 90 days. Because of this, you have no time period without interest. Regular purchases incur 12.15% - 17.99% Variable APR interest charges. Late payments can trigger an 18% penalty APR. If you want a low APR for an indefinite period of time, this is the card for you. Military service members can consolidate high interest debt to this card for an instant and permanent APR savings. You can take advantage of this savings to pay off your cards faster than you could have without a balance transfer. That makes it a great option to help you get out of debt for good. The Chase Freedom® card can earn you cash back and take care of all your balance transfer needs. In fact, any balance transfer made will get a 0% introductory APR for your first 15 months as a cardholder, with the same promotion applying to purchases. As far as cash back goes, you’ll earn a whopping 5% cash back on up to $1,500 in combined purchases on bonus categories specified by Chase each quarter, as well as 1% on everything else. These rewards do not expire, and you can redeem them no matter the amount you currently have in your account. Get your cash back as a statement credit, deposit to a U.S. checking or savings account, gift card or right to your Amazon.com account -- whatever works best for you. If a balance transfer is what you’re looking to get done, the Chase Freedom Unlimited® card offers that and more. You’ll save a lot in extra interest charges with a 0% introductory APR for 15 months on balance transfers and purchases alike, as well as no annual fee. Rewards come in the form of 1.5% cash back rate on every purchase you make, regardless of the category. Redeem that cash back as quickly or slowly as you’d like, because there’s no limit on how much you can hold onto and no minimum amount needed to redeem. Statement credits, deposits to U.S. checking or savings accounts, gift cards and Amazon.com credits are all available as redemption options for the cash back you earn. Unlimited 1.5% cash back on every purchase – it's automatic! Methodology SmartAsset has developed a quantitative and independent system for evaluating the relative value of a credit card offer versus other offers in the marketplace. Our system evaluates cards based exclusively on their features, such as their rewards earning rate (if applicable), fees, perks, and rewards program redemption options. The annual rewards values on this page are calculated using annual spending assumptions in various categories such as, but not limited to, gas, restaurants, airfare, and US supermarkets. These spending assumptions are built on research that SmartAsset has conducted on existing balance transfer credit cardholders. Our promise with our credit card recommendations is that we will always strive to have the most comprehensive, accurate, and objective method of evaluating credit card offers. Any recommendations are solely determined by the result of this research and model, and is never influenced by any fees, commissions, or other forms of compensation that SmartAsset may receive from credit card issuers for leads generated on our website. A balance transfer gives a consumer the chance to move debt from one credit account to another. 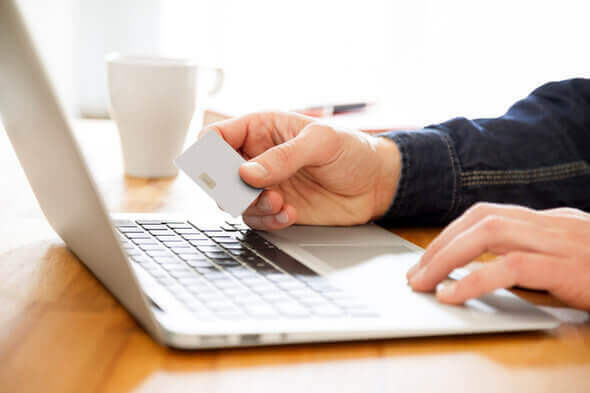 Credit card balance transfers usually involve the movement of balances to a new credit card with a lower interest rate (or a 0% interest introductory period). All of the major issuers give credit cardholders the opportunity to transfer their credit card balances. You can transfer balances from different types of credit cards, including store credit cards. Technically, you can also transfer debt from someone else’s credit card who’s related to you (as long as you’re willing to pay it off). Depending on your lender’s rules and regulations, you may also be able to transfer other forms of debt to credit cards, such as student debt and mortgage debt. If you want to avoid paying too much for balance transfers, you may want to consider applying for a balance transfer credit card. 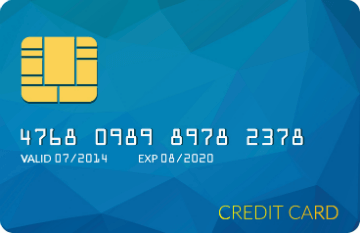 Balance transfer cards are essentially credit cards that charge less interest on balance transfers. Consumers with these kinds of credit cards often pay zero interest on transferred balances during a short-term introductory period. Some of the best balance transfer credit cards don’t charge cardholders for balance transfers at all. Some temporary 0% balance transfer offers last for just nine months. Others last for 12, 15 or 18 billing cycles (aka months). Some of the best balance transfer credit cards offer 0% introductory rates for as many as 21 months. Keep in mind that 0% balance transfer offers and 0% APR credit card offers aren’t the same thing. When you have a 0% APR credit card, you won’t pay interest on standard purchases (at least temporarily). But you might pay interest on the balances you transfer. Similarly, a 0% balance transfer credit card may charge interest on regular credit card transactions. In some cases, a 0% interest promotional period applies to both balance transfers and everyday purchases. Bottom line: If you’re looking for a credit card with a 0% balance transfer offer, you’ll need to consider whether the card also charges 0% interest on regular purchases. Consumers sometimes confuse credit card balance transfers with a debt repayment method known as debt consolidation. While they’re similar strategies, they’re two separate concepts. Debt consolidation refers to the act of using a credit card or a loan to cover multiple debts simultaneously. A balance transfer can involve the movement of more than one debt to a single credit card. But it doesn’t have to. Getting a balance transfer credit card is one way to consolidate debt. It’s also possible to consolidate debt using a home equity loan or personal loan. Another option involves searching for a debt consolidation program. You would make a single payment to a credit counseling company that helps consumers manage their debts. The credit counselor would then use that payment to pay all of your lenders and creditors. It may also find a way to lower the cost of your monthly payments. When you want to consolidate debt using a personal loan, you’ll be required to apply for a new loan and use that financing to pay off and replace your other debts. When you apply for a balance transfer credit card, however, you’re not required to close your old credit card account. It’s important to think carefully before choosing a debt consolidation strategy. In some situations, signing up for a balance transfer credit card makes the most sense. For example, if you’re tired of paying large amounts of interest on your credit card debt, applying for a balance transfer credit card could be the most logical thing to do. However, if you’re drowning under a mountain of credit card debt and you have other unpaid loans – like student loans – you may want to look into getting a debt consolidation loan or applying for a debt management program. Applying for a balance transfer credit card could be a good idea if you’re trying to save money. When you transfer a balance to a credit card with a low interest rate, you pay less interest when you carry a balance from month to month (when you don’t pay your bill in full). In short, balance transfer cards can reduce the size of your monthly credit card payments. Having a balance transfer credit card could also be helpful if you’re trying to pay off debt more quickly. When you have a low interest rate, you can use your extra money (that you would have otherwise used to pay interest) to knock out other debt. A balance transfer credit card could also be a useful tool if you’re trying to consolidate debt. Keeping track of multiple credit cards with different payment deadlines can be tricky. If you can transfer two or three credit card balances to a single card with a lower interest rate, you’ll only have one due date to remember moving forward. Furthermore, switching over to a balance transfer credit card may give you the chance to take advantage of a card with better rewards and credit card terms, like lower fees. Let’s take a closer look at how a balance transfer credit card could save you money. Say, for example, that you have a credit card with a $4,800 balance and an annual percentage rate of 16%. A credit card calculator can tell you that if you make a monthly payment of $220, you can pay off your credit card in a little over two years. In that scenario, you’d spend a total of $910 on interest. That’s equal to roughly 19% of your credit card debt balance. What would happen if you transferred all of your debt to a balance transfer credit card with a 0% introductory rate that lasts for 15 months? If that 0% deal applies to regular purchases, too, and there’s a 3% balance transfer fee ($144 in this case) you wouldn’t pay any interest at all for the first 15 months. Then a 15.02% APR (which is lower than the interest rate on your old card) kicks in. If you’ve been paying $220 per month all along, you could pay off your credit card balance in about 23 months and only spend about $78 on interest. Based on our example, you could save about $832 by transferring your debt to a new balance transfer credit card. And paying off your debt wouldn’t take as long. Still not convinced that a balance transfer credit card is worth considering? Let’s look at a different example. Maybe you have $5,000 in credit card debt and your APR is 17%. If you’re serious about ditching your debt, you could make monthly payments of $310 and pay off your debt in about 19 months. Within that time frame, you’d spend a total of $717 on interest (or 14% of your credit card debt balance). You find out about a 0% interest balance transfer card promotion that don’t charge interest on any purchases or balance transfers for 12 months. The balance transfer fee is 3%. If you transfer all of your debt to the balance transfer credit card, you’d spend $150 on your balance transfer fee but nothing on interest for 12 months. If you’re still committed to making monthly payments of $310 and a 14.86% APR applies after the introductory period ends, you could pay off your debt in 17 months and save about $675 on interest. As you can see, you can score some serious savings by applying for a balance transfer credit card. But a balance transfer card by itself won’t help you get out of debt. You’ll have to make a conscious effort to keep up with your credit card payments. The lower your monthly payment, the less you’ll spend on interest over time. Despite the various benefits that balance transfer credit cards offer, there are downsides to applying for these kinds of cards. For example, 0% balance transfer card offers can be misleading. Sure, you won’t pay interest on the balances you transfer from other cards. But in most cases, you’ll still have to pay a balance transfer fee. This means that the more money you transfer, the more you’ll pay in the long run. Balance transfer credit cards can also leave consumers in a messy financial situation, especially if they fail to pay off their balances in full before the 0% interest introductory offer ends. Once that promotional period expires, eliminating credit card debt could be challenging (particularly if the 0% balance transfer offer was combined with a 0% APR credit card offer). And in some cases, credit cardholders can be required to pay interest retroactively on any balance left over after the conclusion of the promotional period. You could also run into problems if you get approved for a balance transfer credit card but you don’t qualify for the terms that go along with a particular offer. If your credit score isn’t high enough, for example, you could end up with a smaller credit line than the one that was advertised. That may prevent you from transferring all of the debt that you had planned to move onto your new balance transfer card. In that scenario, you would wind up with two credit cards that you’d have to pay off (the balance transfer credit card and your old card with the leftover debt you couldn’t transfer). Plus, you wouldn’t be able to save as much money on interest. There’s another disadvantage to getting a balance transfer credit card: You may ultimately take on more debt than you can afford to pay off. If you apply for a new balance transfer credit card and forget to close your old credit card account, you’ll have a larger overall credit limit. That could become an issue if you’re prone to overspending or maxing out credit cards. A credit card’s grace period tells you how much time you’ll have to make a credit card payment and avoid interest charges and late fees. It’s the time period that falls between the end of a billing cycle and a credit card payment deadline. By law, all credit cards are required to have a grace period that lasts for at least 21 days. Carrying a balance eliminates your credit card grace period. Keep in mind that you can lose your grace period in two ways: carrying a balance after making purchases and carrying a balance after transferring a credit card balance. When you lose your grace period (and the 0% interest promotional period is over), you’re required to begin paying interest right away. Fortunately, there’s a way to reclaim your grace period. In most cases, all you need to do is pay your credit card bill in full for two months in a row. In order to do that, you’ll need to keep track of your payment deadlines and your statement closing date. That’s the day that your billing cycle ends. The catch is that you’ll have to be able to afford to make two full credit card payments back-to-back. That may not be possible, especially if you couldn’t pay your credit card bill in full in the first place. Balance transfers can potentially have a negative impact on your credit score. Whenever you apply for a line of credit or a loan, your credit score takes a bit of a hit temporarily. That’s known as a hard inquiry because a credit card issuer must pull your credit report in order to decide whether you’re eligible for a new credit card. So in the process of applying for a balance transfer credit card, your credit score could drop by several points. Having an additional line of credit will lower the average age of all of your credit accounts. That can impact your credit score as well. Under the FICO credit scoring model, 15% of your score depends on the length of your credit history. Your credit utilization ratio (also known as your debt-to-credit ratio) will also probably change. That’s the amount of available credit you have compared to your credit line. Your credit utilization ratio and the amount of debt you owe account for 30% of your credit score. The credit reporting bureaus typically calculate your credit score by looking at this ratio for your credit accounts both individually and collectively. Having a credit utilization ratio above 30% can hurt your credit score. But keeping your credit utilization ratio low can be difficult, especially if you move your credit card debt to a balance transfer credit card with a low available credit line (and you close your old credit card account). Let’s look at an example. Let’s say that you currently have a credit card with a $1,400 balance and a $5,000 credit limit. Your credit utilization ratio is 28% ($1,400/$5,000 x 100). If you were to transfer your entire balance to a new credit card with a lower interest rate and a $2,500 credit limit - and you decide to close your old account - your credit utilization ratio would rise to 56%. As a result, your credit score would likely take a dive. Who Should Apply for a Balance Transfer Credit Card? Balance transfer credit cards aren’t for everyone. In fact, they’re usually geared toward consumers with good or excellent credit scores. According to the FICO scoring model (the model most often used by lenders), this means that your credit score may need to fall between 670 and 850 if you want to qualify for a balance transfer credit card and be eligible for the best rates. Under the VantageScore model, your credit score would have to fall between 700 and 850 to be considered good or excellent. Incorporating a balance transfer credit card into your debt repayment strategy could also be effective if high interest rates are keeping you from being able to pay off your principal balances. Having a concrete plan, however, is the key to making the most of a balance transfer credit card. This kind of card wouldn’t be helpful for someone who doesn’t know how to budget their money or come up with a practical way to pay off the debt they transfer before the 0% interest period expires. A balance transfer credit card isn’t a good fit for anyone who’s planning to transfer balances back and forth or sign up for 0% interest credit cards as often as possible. Without making an effort to pay off your debt, signing up for a balance transfer credit card would be pointless. You might be better off consolidating your debt using a debt management program or a personal loan. Folks who have good credit but want a higher score may also want to think about applying for a balance transfer credit card. With a credit card with a lower interest rate, they’ll be able to pay off their balances in a shorter amount of time and raise their credit scores in the process. And if they decide to keep their old credit card account open (and they avoid using it recklessly), they should be able to reduce their credit utilization ratio. That’s another way to build credit. Think you’re a good candidate for one of the best balance transfer credit cards? Before you apply, there are many factors that you’ll need to take into consideration. For one thing, it’s important to consider the fees that credit card issuers charge consumers with balance transfer credit cards. Balance transfer fees are normally 3% to 5% (on average) of the amount you’re transferring. And since there’s rarely a cap on balance transfer fees, you could be ponying up a lot of money if you want to move multiple balances to a new credit card. If there are additional fees that go along with your balance transfer credit card – like foreign transaction fees and late payment penalties – you’ll also need to think about how that’ll affect your borrowing costs overall. In many cases, cards with lower interest rates charge more fees. Don’t forget to compare annual percentage rates (APRs). If you’re trying to transfer balances from other credit cards, you’ll want your interest rate to be as low as possible. These rates can vary quite a bit. Nationwide, the average APR for a new credit card is around 15.63% (as of March 2017). The average APR for a balance transfer credit card is around 14.89%. If one of your credit card payments is at least 60 days late, you could get stuck with an annual percentage rate that’s much higher than your original APR. That’s known as a penalty APR. It could be as high as 30% and it could apply to your account for at least six months. 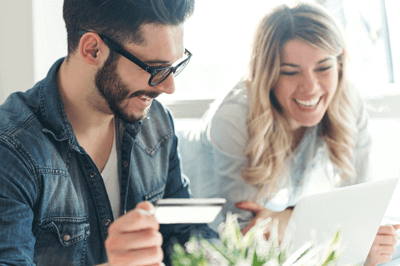 In addition to fees, penalties and interest rates, you’ll need to look at the kinds of rewards that different balance transfer credit cards offer. Some give cardholders access to points or travel benefits while others provide cash back on qualifying purchases. Eliminating credit card debt may be your top priority. But if you can earn rewards at the same time, you might as well take advantage of some extra perks. Just make sure you’re aware of any rules or restrictions that may affect your ability to earn rewards. Since applying for a credit card temporarily puts your credit score in jeopardy, you’ll also need to consider your odds of being able to get approved for one of the cards you’re considering. You’ll have a better chance of getting the card you want if it falls within your credit score range. When you’re trying to choose a credit card, your personal spending habits matter, too. If you tend to rack up credit card debt and paying off that debt takes multiple months (or years), you may need to find a balance transfer credit card with a long 0% interest introductory period. That way, you’ll have more time to pay off your debt before the regular interest rate on balance transfers kicks in. Another key factor that you’ll need to take into account is a card’s credit limit. A balance transfer credit card with a low credit limit may not be valuable to you, especially if you have a large amount of debt that you want to transfer (more on that later). Going over your credit card limit would not only hurt your credit but it would also result in an extra charge. A 0% balance transfer promotion can be beneficial to consumers who want to pay off their credit card debt and reduce how much they’re spending on interest payments. Unfortunately, 0% balance transfer offers usually don’t last forever. Once your 0% balance transfer offer ends, your balance transfers will be subject to the card’s regular rate, which can be as high as 20%. That’s why it’s important to pay close attention to the length of the promotional period. The longer the introductory period, the better. A good balance credit card should have a 0% offer that lasts for 12 months, at the very least. When comparing 0% balance transfer credit card offers, you’ll also need to assess the terms and conditions associated with individual cards. Transferring balances might be free for 12 months. But during that period, you may owe interest if you use your credit card to purchase new items and you carry a balance. Reading the fine print should give you an idea of how a particular introductory offer will work. Which of the factors that we’ve identified matter most when you’re thinking about getting a balance transfer credit card? The short answer is that it depends on your preferences and your financial situation. Ultimately, you’ll have to weigh all of the pros and cons and pick the card that’s best for you. There’s no point of applying for a balance transfer credit card that doesn’t meet your individual needs. Across the board, however, the most important factor to consider when applying for a balance transfer credit card is the interest rate tied to balance transfers. The purpose of a balance transfer is to move your existing debt to a different credit card in order to reduce the amount of money you’re spending and save on interest. Therefore, getting a balance transfer credit card doesn’t make sense if it doesn’t come with either a 0% interest deal or a lower interest rate than the rate attached to the cards you currently have in your wallet. As you’re reviewing the interest rates associated with different credit cards, you may want to pay attention to whether the annual percentage rate is a variable rate or a fixed rate. If it’s a fixed rate, managing your credit card payments will be a bit easier since you’ll know exactly how much interest you’ll owe every month after the introductory rate expires. But fixed rates can change over time, especially if you start making late payments and your credit card issuer applies a penalty APR. Fees should probably also rank high on your priority list when evaluating balance transfer credit card offers. If the costs outweigh the benefits and rewards that go along with a particular card, it’s not worth applying for. That rule of thumb applies regardless of whether you’re going to carry a balance. Even if you get a balance transfer credit card with the intention of paying your bills in full every month (and avoiding interest), you could still lose money if you’re forced to pay an annual fee. Plus, the balance transfer fee alone could significantly reduce the amount of money you’d be saving with a balance transfer credit card. Finally, your own financial habits should carry a lot weight when it comes to choosing a balance transfer credit card. The fact that a card comes with travel rewards, for example, won’t matter if you never earn miles or points because you consistently make late payments. And if you rarely pay off your entire monthly credit card bill, you’ll need to pay close attention to the interest rate that’ll come into play once your 0% interest promotion ends. The way you manage your money will also dictate whether things like credit card limits matter to you. If you compare some of the best balance transfer credit cards and you’re torn between two or more cards, you can read credit card reviews. They’ll provide you with information regarding what you can expect from specific credit card companies and the cards they offer. As you’re comparing some of the best balance transfer credit cards, it would be wise to figure out how accepting any of those offers might affect your budget. For example, you can add up the total amount of debt you’re carrying across all of your credit cards. Then, you can pick a few balance credit cards and calculate how much you can afford to pay off before the 0% interest period expires. As you’re running the numbers, you’ll need to make sure you include the balance transfer fee. You’ll also need to be realistic. You’ll need to determine how a credit card balance transfer may fit in with your other obligations and financial goals. Using your calculations (and an online credit card payment calculator, if necessary), you can figure out how much you can expect to save by using a balance transfer card instead of your existing credit card. If you’re trying to consolidate debt, you can also try crunching some numbers to see whether you’d save more money with a personal loan. After you’ve found a balance transfer credit card that you like, you’ll need to apply for the card. You can fill out an application online or make a phone call. You can also mail in a paper application if you’ve received one. How quickly you can get approved for a balance transfer credit card will depend on your application method and the kind of credit card you’re applying for. If you respond to an instant approval credit card offer, you can get approved for a card within minutes of submitting an online application. Otherwise, it could take weeks for you to find out whether you’ll have access to a new credit card. In the process of reviewing your credit card application, card issuers usually take multiple factors into account, including your credit score and your debt-to-credit ratio. They also review credit reports and look for red flags that might indicate that you’re a risky borrower. For example, the fact that you’ve completed multiple credit card applications within a short time span could make it more difficult for you to get approved for a new line of credit. If your request for a new credit card is rejected, you may need to work on boosting your credit score for as many as six months. But if you’re approved for a balance transfer credit card, you’ll need to prepare to begin the process of transferring the balances from your other credit cards. You’ll need to take certain steps in order to transfer a credit card balance. Specifically, you’ll need to find the account number associated with the balance you’re transferring and decide how much money you want to transfer. Then, you can contact a representative from the company that issued your balance transfer credit card and formally request a balance transfer. Once you’ve gotten the green light to initiate a balance transfer, your new credit card issuer will cover the amount you want to transfer by paying off that debt on your behalf. Compensating your original creditor for the debt you’re transferring and moving the balance to a new card normally takes about a week. But in some cases, the whole process can take as many as 14 days or as few as three days. It’s important to note that you can’t make a balance transfer whenever you feel like it. Most credit card issuers expect their customers to complete their balance transfers within the first 30, 60 or 90 days of opening their new accounts. After you’re approved for a balance transfer credit card, you’ll want to contact your issuer as soon as possible and ask for a balance transfer. One more thing to keep in mind is that you can’t transfer balances between two credit card accounts managed by the same creditor. The only way to transfer credit card debt is to move it to an account from a different issuer. You can transfer a balance more than once, however. Just be prepared to pay a balance transfer fee for each transaction. In order to make the most of your balance transfer credit card, you’ll need to be strategic. Transferring all of your credit card debt to your new card at one time could be a bad idea. Depending on how much debt you’re carrying, that might not even be possible, particularly if your balance transfer credit card doesn’t come with a high credit limit. It’s probably best to transfer a small amount (i.e. less than $10,000). That way, paying off your debt won’t be difficult. If you make it a priority, you may be able to get rid of the debt you transferred to your balance transfer credit card within a few months. 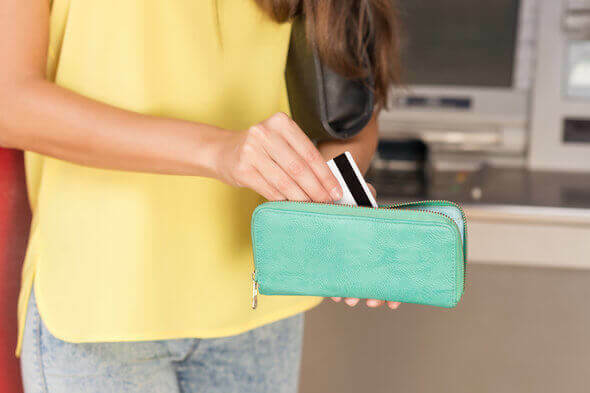 After your credit card issuer transfers your balance to your new credit card, it’s important to focus on paying off that debt as soon as possible. Assuming that your balance credit card comes with a 0% introductory rate, it’s in your best interest to try and pay off your debt in full before that period comes to an end. If your monthly payment is at least 60 days late, your credit card issuer might cancel your 0% interest offer. If that happens, you could be expected to start paying interest on the unpaid charges from your balance transfers during the next billing cycle. You’ll also need to do whatever you can to avoid using your balance transfer credit card to make additional purchases. That’s not what it’s for! What if you haven’t been able to transfer as much debt as you would like because your credit limit isn’t as high as it could be? There may be something you can do. For example, you can contact your credit card issuer and try to ask for a credit limit increase. The issuer may be willing to help you out if you explain that you’re trying to transfer your credit card balances and get out of debt. Before asking for a higher credit limit, however, you’ll need to think about how that’ll affect your credit score. In some cases, a credit limit increase request can count as a hard inquiry. In other words, requesting a credit limit increase could cause your score to fall. Of course, asking for access to additional credit isn’t a good move for everyone. If your credit score isn’t great, you may want to concentrate on improving your score. Making on-time payments every month and trying to pay your bill in full as often as possible can help. If you have a good track record with your credit card issuer and the company recognizes that you’re a responsible borrower, it may automatically raise your credit limit. Unlike credit limit increase requests, automatic credit line increases are typically considered soft inquiries. While soft inquiries have no direct impact on your credit score, a voluntary boost in your credit line could improve your credit since it’ll likely cause your debt-to-credit ratio to drop. Should You Close a Credit Card Account Following a Balance Transfer? What about your old credit cards? Will you need to close those accounts after transferring your balances to your new credit card? That’s something you’ll need to decide for yourself. Canceling a credit card can reduce the number of bills you have to worry about paying. It can also prevent you from being tempted to overspend by limiting the amount of credit that’s available to you. At the same time, closing one of your credit card accounts can do some serious damage to your credit score. That might happen if you have a few credit cards and high balances on each card. Closing one account and transferring your debt to a balance credit card account could raise your credit utilization ratio substantially. That could be a problem if you’re preparing to buy a house or take out a loan in the near future. Remember, the lower your credit score, the better your chances of qualifying for a low interest rate. 1. Can anyone get approved for a balance transfer credit card? Consumers with good or excellent credit scores are usually in the best position to get approved for balance transfer credit cards. You may be able to qualify for a balance transfer credit card if you have a low credit score. But you may be ineligible for a 0% interest deal. Plus, the kinds of interest rates you qualify for may be high. If you have bad credit and you’re thinking about applying for a balance transfer credit card, it’s a good idea to read over its terms and conditions. It may have information about the kinds of fees and rates that apply to consumers based on their credit scores. You can also try making a phone call and asking a company representative whether they offer credit cards to individuals dealing with similar credit issues. 2. 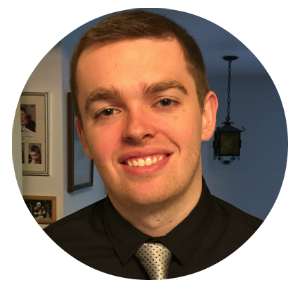 How can I improve my credit score and qualify for one of the best balance transfer credit cards? There are many ways to improve your credit score. You can begin by making sure that every credit card payment is on time. Your payment history accounts for 35% of your FICO credit score. Keeping your credit utilization ratio below 30% can also boost your credit. If you’re afraid that you’ll forget to make your credit card payments, you can sign up for automatic bill pay. 3. How does a balance transfer differ from a cash advance? Taking a cash advance is just like using a debit card to withdraw cash from an ATM. A cash advance gives you access to cash that you can use for various purposes. But the money you’re pulling out is essentially a cash loan from your credit card issuer, therefore you’re expected to pay a fee. It usually amounts to either 5% of the cash advance or $10 (whichever is greater). A balance transfer doesn’t involve any withdrawals. When you’re ready to transfer a balance, your new credit card issuer will pay off your unpaid debt before moving it over to the account for your balance transfer credit card. 4. Can a credit card balance transfer hurt my credit? It can. Your credit score will fall slightly when you apply for your balance transfer credit card. But how much it falls depends on other factors, such as your ability to keep up with credit card payments after transferring your debt. In the long-run, a balance transfer can potentially raise your credit score by lowering your credit utilization ratio (or the amount of debt you haven’t paid off relative to your total credit line). 5. When is it a good idea to use a balance transfer to get rid of credit card debt? Applying for a balance transfer credit card could be a good idea if you have a good (or great) credit score and you want a lower interest rate in order to consolidate debt, pay off debt more quickly, save money and/or raise your credit score. If you can pay off all of your debt within a short span of time (i.e. within six months), that could be a better strategy. After all, even if you qualify for one of the best balance transfer credit cards with a 0% interest deal, you’ll still have to pay a balance transfer fee. 6. Which kinds of debt can I transfer to a credit card? You may be able to transfer all types of debt, including mortgage loans, car loans and payday loans. But you’ll need to contact your credit card issuer to find out what you can and can’t do when it comes to balance transfers. 7. Can I cancel a balance transfer after I request one? Balance transfers are usually irreversible. But if you reach out to your credit card issuer, the company may be able to find a way to address your issue. 8. Are balance transfer fees negotiable? Depending on your approach, you may be able to talk your credit card issuer into lowering your balance transfer fee. It’s certainly worth a try. But you’ll need to be ready to make your case. Explaining that you’ve been a loyal customer for many years and talking about your positive payment history may be enough to convince your creditor that you deserve to pay fewer fees. 9. How can I find the best balance transfer credit card? You’ll need to do your research. Reading reviews and finding out what experts have to say about the best balance transfer credit cards can help you find a great deal. But before you apply for a card, it’s best to make sure it’s the right card for you, based on your financial situation and how much you’re willing to spend on fees. 10. How can I make the most of a balance transfer credit card? Understanding your terms and conditions is the key to taking advantage of all the perks a balance transfer credit card may offer. Knowing details such as how long the 0% interest promotion will last will help you create a plan that will allow you to transfer your credit card debt and pay it off in a short amount of time (preferably before the end of the promotional period). Balance transfer credit cards give consumers the chance to get their debt under control and potentially eliminate it for good. Knowing what to look for when comparing the best balance transfer credit cards is critical if you want to save as much money as possible. Disclaimer: The responses in the user comment section below are not provided or commissioned by the bank advertiser. Responses have not been reviewed, approved or otherwise endorsed by the bank advertiser. It is not the bank advertiser’s responsibility to ensure all posts and/or questions are answered. SmartAsset’s interactive map highlights the places in the country where people are wasting the most money on credit card debt. Click between states and the national map to see where people could potentially save money with a balance transfer credit card. Methodology Our study aims to find the places where people are wasting the most money on credit card debt. We wanted to find locations where people could reduce how much money they are paying on interest by utilizing a balance transfer credit card responsibly. To find these places we ran the numbers for two different scenarios to determine how much the average household in each place could save by transferring their credit card debt from a card with a high interest rate to a card with a 3% balance transfer fee and an 18 month period of paying an introductory 0% interest rate. First we took the household debt for each city and calculated how long it would take to pay off that debt if someone was able to put $250 towards it each month. We determined how much interest the household would pay in that scenario. We then calculated how much the household would pay in interest if they used a balance transfer card to secure an 18-month 0% period and still allocated $250 a month to the debt. The difference between those two scenarios is how much the average household in each city could save. In other words, it’s how much they are wasting by not using a balance transfer card responsibly. *It is important to note that this method is helpful only if people use the new credit card responsibly and work to pay down the debt without racking up new debt.